launched in October last year and has a team of over 200 staff across creative, production, strategy and a dedicated digital hub. 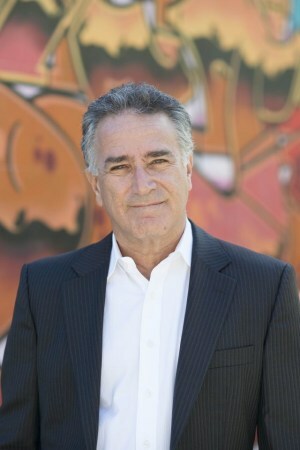 Video games and entertainment media publisher Showdown has appointed Michael Ephraim as the company's chairman. Ephraim will be responsible for driving the growth and strategic direction of the Showdown business, as well as the company’s esports division, Throwdown. He will also manage Showdown’s exclusive ANZ distribution partnership with Twitch, the global video platform and community for gamers. Previously the MD and VP of Sony Interactive Entertainment for Australia and New Zealand, Ephraim has been had almost 30 year's experience. Showdown MD Scott Wenkart said Ephraim was joining the team at an important time, just as Showdown’s esports division, Throwdown, is about to announce the expansion of its leagues. Global firm Edison Research has released the second annual Australian study of the digital audio, social media, mobile, smart speaker and podcast habits of Australians. The results revealed a rise in radio consumption across multiple platforms in the marketplace, with 88% of people having listened to an AM/FM/DAB+ either via free to air broadcast or online in the last week. This is three times as many people than the second highest audio platform. Commercial Radio Australia chief executive officer Joan Warner said it was an exciting time for radio in Australia, with development across the world providing the medium with another way of reaching audiences, whether through traditional means, on a DAB+ device or via a podcast or on a smart speaker. Ice tea brand Chatime has appointed Host/Havas to lead its brand development and communications program across Australia, building awareness of its proposition while introducing new consumers to the category. Host/Havas will support Chatime’s strategy to build its customer experience. The agency’s core remit will focus on the development of the brand’s social media activity to connect with its core 14-25 customer base while enhancing its digital channels. The agency will also look to promote Chatime's new categories and flavours through a storytelling proposition. Host/Havas launched in October last year and has a team of over 200 staff across creative, production, strategy and a dedicated digital hub.